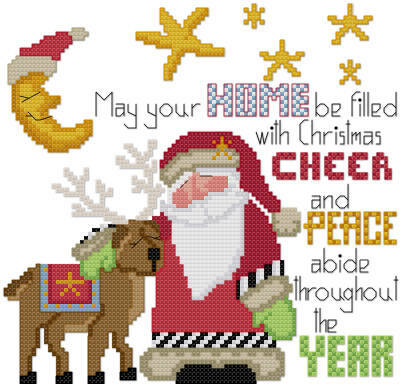 May your home be filled with Christmas cheer and peace abide throughout the year. 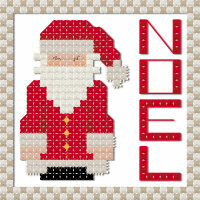 The cross stitch graph is large and full-color with symbols. A complete list of thread colors and stitches used are included. 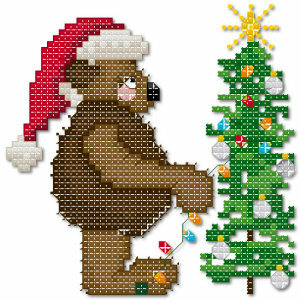 A bear decorating his beary pretty Christmas tree. The cross stitch graph is large and full-color with symbols. A complete list of thread colors and stitches used are included. A row of Gingerbread boys and girls. The cross stitch graph is large and full-color with symbols. A complete list of thread colors and stitches used are included. 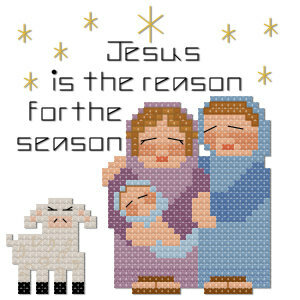 The cross stitch graph is large and full-color with symbols. A complete list of thread colors and stitches used are included.